Proving the old adage that there’s a prototype for everything we do in model trains, here’s a tank car body on a flatcar. 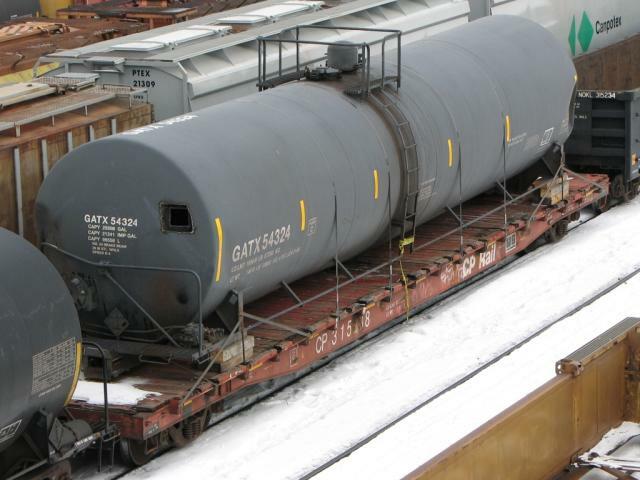 I spotted the remnants of GATX 54324 strapped on flatcar CP 315208 in Winnipeg. This would be a quick little modeling project. Note the dent in the far end of the tank, easily done with a touch of a soldering iron.